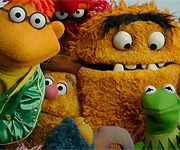 The Muppets Win Big at the Webbys! Discussion in 'Muppet Headlines' started by dwayne1115, May 4, 2010. 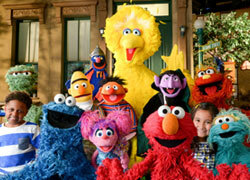 The votes are in and the Muppets both classic and Sesame have won big at the 2010 Webby Awards! Here is a link for the Webby Awards on online Videos. The Music Category is about half-way down, and the Viral is at the very bottom. The Muppets did very well, not only winning the Webby but also the Pepoles voice awards in both categories! If Disney has any little doubts left about the movie, they should be erased by 2 consecutive Webby wins. If that isn't a sure fire reason for them to get started, I don't know what is. I'm REALLY hoping they get the Will Eisner Award for the comic as well. If that isn't a sure fire reason for them to get started, I don't know what is. I'm REALLY hoping they get the Will Eisner Award for the comic as well. Perhaps they will, if The Spirit moves them. Hurray! I wonder what they'll say for their acceptance speeches. i wonder who'd be coming to the acceptance speeches? Kermit is a given, but why do i suspect that Animal might show up? I see a little silhouett-a of a WIN! Who knows they might all show up? But only one says the speech. Congrats to Kermit, Gonzo, Animal, and the rest on their big win. As for who to send for the speech, I say the time is right: send the band. Congatulations to all the Muppets from The Muppet Show and Sesame Street for winning these awards. Somehow, I knew they would win it! Think about this they did not only win the Webby in both catagories but they also won the Peoples Voice as well. That is a total of 34 awards! That has to be a webby record of somthing. Jim Henson's legacy still carries on to this day. Congratulations. i think they should send Kermit and his five word speech should be "Seriously it's a video conference"
Awesome proof of their staying power in the minds and hearts of society and all people who know them! "Mamma? MAMMA MAMMA! THANK YOUUUU..."
Still what award did Sesame Workshop won ? They won a People's Choice award in the Parenting/Family category.